You know those "flushable" wipes we've been seeing on store shelves the last few years? The ones for us so-called adults, not the ones for babies. They're hell on our sewage systems. The video above, created by the city of Halifax, Nova Scotia, explains that these wipes are costing Canadian taxpayers upwards of $250 million a year. 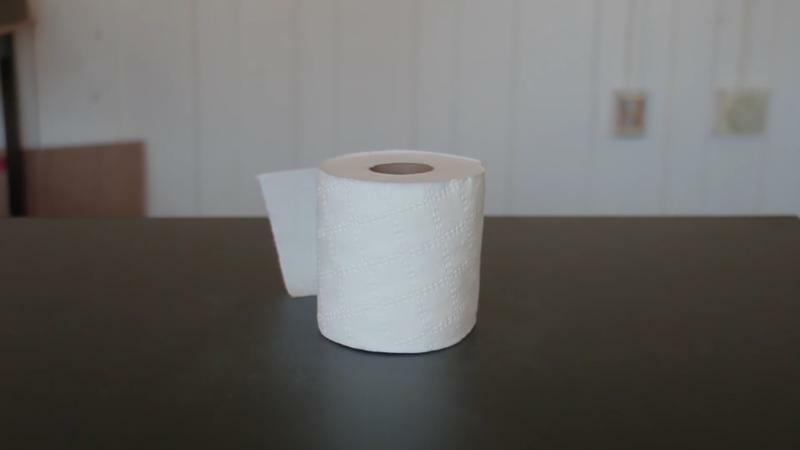 Standard toilet paper is carefully designed to hold up long enough to do its job and then, once done, break down into particulate in the pipes. Flushable wipes, on the other hand, act about the same as flushing a rag or a sock down the can. It's a piece of fabric and stays that way. They're as flushable as flushable crayons, flushable toy cars, or, as the next video suggests, golf balls. Adam Conover of Adam Ruins Everything explained this in a video last year. After a solid century of toilet paper sales, companies were looking for a way to boost profits; steady profits of a very necessary product aren't enough for shareholders anymore, after all. Instead, toilet paper companies did the same thing that mouthwash companies and soap companies did: invent a problem. The result is that these little sheets of fabric catch on things. Often times, that's in the pipes in our own homes, costing a homeowner hundreds of thousands of dollars. Assuming they make it out of the house each time, they'll catch in the municipal sewer system out in the street or closer to the processing plants that clean things up. As they catch, they begin to provide a surface for other things to catch on. All the crayons and toy cars I mentioned above, of course, but the many other improperly disposed-of items that go down our drains, from food grease to food wrappers to other personal hygiene products that are meant for the trash, not the toilet. One Australian utility quoted wipes as costing their city as much as $1.5 million, while Adam Ruins Everything quotes San Francisco as having spent $4 million in a year on the matter. Back in 2012, Vancouver, British Columbia was spending $100,000 a year even after installing $700,000 pumps. With the product growing in popularity, that number has surely skyrocketed since. Cities like Washington D.C. and New York City are trying to go after the issue. New York is looking to do exactly what cities do to fight organized crime – squeeze out the product by pressuring the businesses that help them thrive. Stores selling these not-actually-flushable flushable wipes would be fined $2,500 for selling any wipes that haven't passed a flushability test. Minnesota wants to label the offenders with a "Do Not Flush" sticker. Some people aren't so happy about this and are trying to make it about patriotism – I'm not kidding. Meanwhile, the International Standards Organization is working on a flushability standard to help let such a product exist without it costing us hundreds of millions of dollars. So remember, when you flush something down the toilet, that doesn't make it disappear. It goes somewhere. If you don't want to be left feeling unclean, a bidet will almost certainly be cheaper.